It's not the Southern France; it's the South Bay! Designed to simulate the French Riviera, this secluded shopping center comprises six blocks of unique stores, restaurants, and cafes. 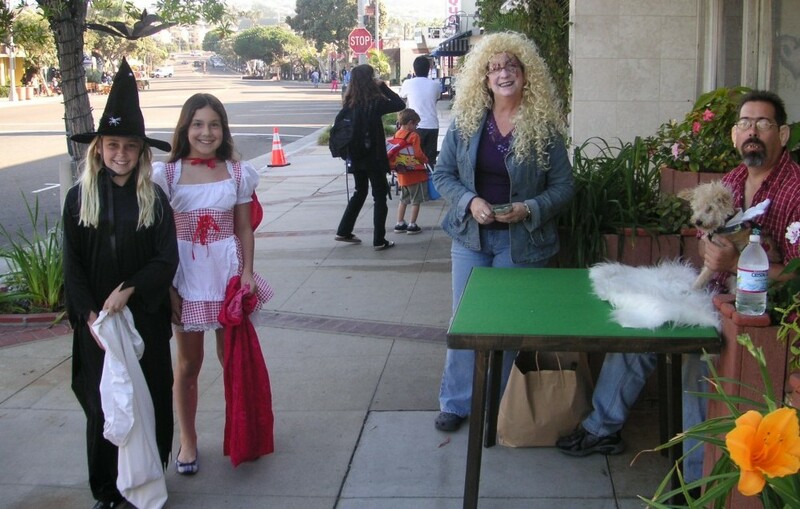 Every October 31, Riviera Village offers their Annual Halloween Trick-or-Treat Stroll: from 4:00pm to 6:00pm, the streets from Catalina Avenue to Palos Verdes Boulevard shut down so that children may visit local businesses for candy. Sometimes, other entertainment may be available, such as magic and/or puppet shows. Afterward, families can remain for dinner (preferably overlooking the Pacific Ocean). Those who feel 6pm is a little too early to curtail their Halloween activities can trek over to Torrance, home of two excellent haunts: The Haunted Shack (an amateur attraction with pro quality) and the Revenge of the Ninja Maze and Block Party (a community event with games and a scary walk-through).